My post from Friday about negative mass in cosmology reminded me of my days at Queen Mary and discussions I had at that time with Bill Bonnor, who retired in 1985 but was a regular visitor to the weekly Relativity Seminars. I was sad to discover just now that Bill actually passed away in 2015 (at the age of 94) so I thought I would post a little note as a short tribute. 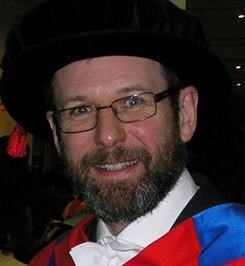 Bill Bonnor was an old-school mathematical relativist, which I definitely am not, but I recall talking to him quite a lot in the coffee room because we had a shared interest in gambling games. He had a liking for the fixed-odds competition in the football pools, which he played with considerable success. 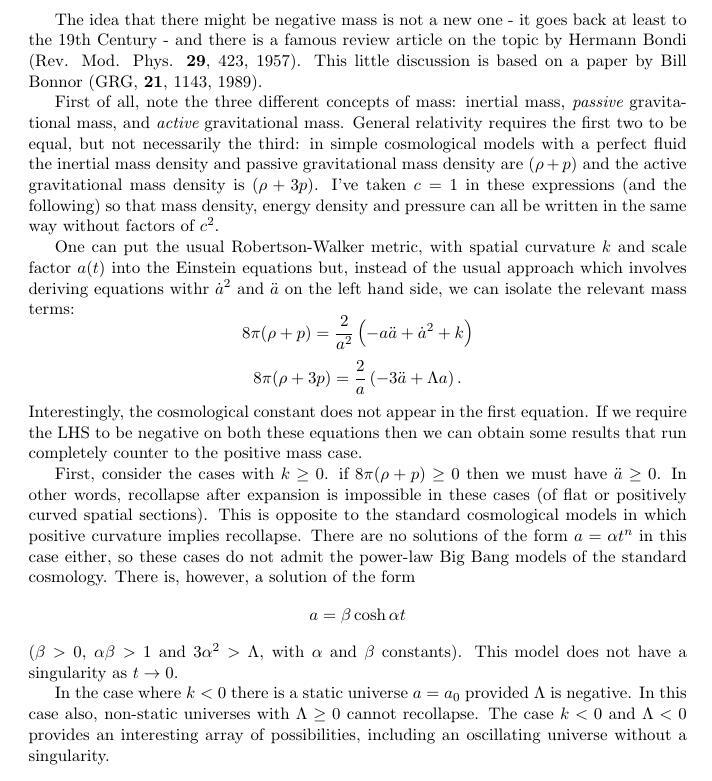 Anyway, Bill Bonnor published a paper in 1989 about Negative Mass in General Relativity. It’s not all about cosmological implications of negative mass, but I’ve just typed up a quick summary. In fact I used some of this in a university examination question many moons ago! Before reading this, you might wish to look up active the terms gravitational mass, passive gravitational mass, inertial mass and equivalence principle, which you can find discussed here (for example). An introduction to the physics and mathematics of the expanding universe, using no more than high-school level / undergraduate mathematics. Covered are the basics of scale factor expansion, the dynamics of the expanding universe, various distance concepts and the generalized redshift-luminosity relation, among other topics. This paper focusses on the basics of the standard framework founded on general relativity, especially how cosmological distances are defined and measured, rather than on trendy modern topics like dark energy and the cosmic microwave background. I’d say any first-year physics student should be able to cope with it, but it’s not for someone who hasn’t learned calculus. On the other hand, it’s free to download so you don’t have much to lose by having a look!